This blog post is part of "The Guide to Winter Activities in The White Mountains" blog series. You don’t have to go far to find one of the best spots for a romantic getaway in New England. Imagine snowshoeing hand-in-hand with your sweetheart amongst the glistening pines as the sun hits their icy needles just right. Snow-capped Franconia Ridge serves as your beacon as you meander through the White Mountain National Forest for a romantic picnic beside the warm fireplace at the Lonesome Lake Hut at Cannon Mountain. The western White Mountains are the perfect destination for a romantic getaway to celebrate an anniversary, Valentine’s Day, or even a weekend getaway in the quiet solitude of the mountains. Whether you prefer a kid-free weekend of skiing or a luxury getaway with wine tasting and a spa package, Lincoln, New Hampshire has everything you could want for a weekend away. The White Mountains are the ultimate destination for the outdoorsy couple who probably own way too many hiking boots, skis, and flannel shirts. Skip the fancy gifts this year and savor the experience of being together in the Great Outdoors. Mother Nature has blessed Lincoln and the surrounding western White Mountains with an abundance of outdoor activities year-round. 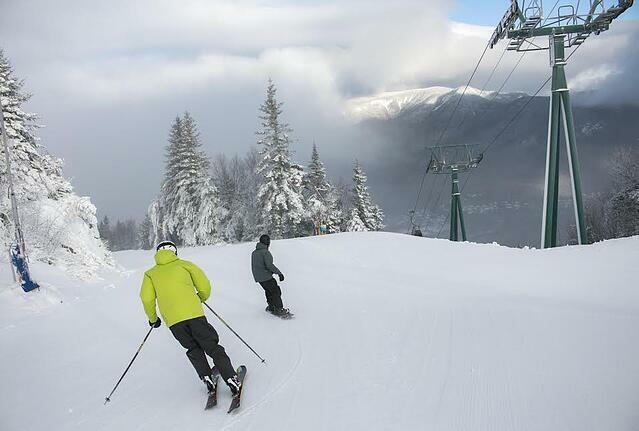 Home to Loon Mountain and Cannon Mountain, the area offers some of the best skiing and snowboarding in New Hampshire. Bundle up and hit the slopes for a day of adult-only skiing complete with après ski at the Paul Bunyan Room at the Octagon Lodge. It’s time to spice things up with something new and exhilarating! Discover the beauty of the mountains and forests by dog sled. A team of huskies with take you and your partner through a memorable journey through the woods and over the snow-covered fields with incredible views to behold. Valley Snow Dogz offers a variety of dog sledding tours throughout the winter in two locations. Fly high above the Pemigewasset River with the winter zipline at the Loon Mountain Adventure Center. You’ll soar over 700 feet across the river and back with incredible bird’s eye view of the mountain and surrounding vistas. The Adventure Center also offers cross-country skiing, snowshoeing, ice skating, and an indoor climbing wall. 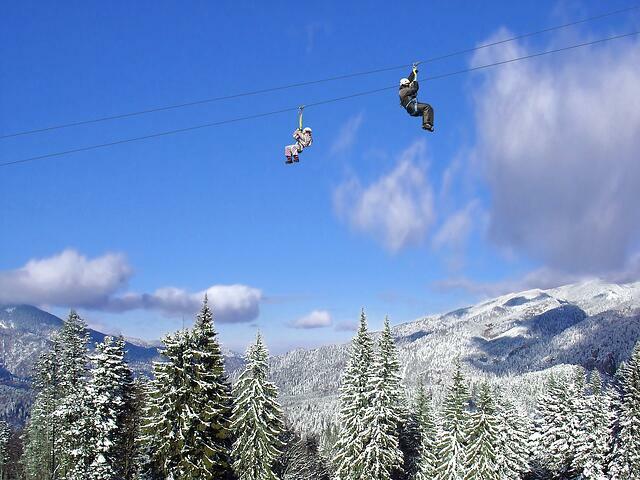 Alpine Adventures is open year round, offering zipline tours and off-road tours. Sure, the White Mountains offer an abundance of adventurous outdoor activities, but it also has a plethora of warm and cozy indoor activities like wine tastings, spas, fine dining, breweries, and more. If you’d like a quiet weekend to relax and enjoy each other's company by the in-room fireplace, then you have come to the right place. You don’t need to fly cross-country to Napa for wine tasting. 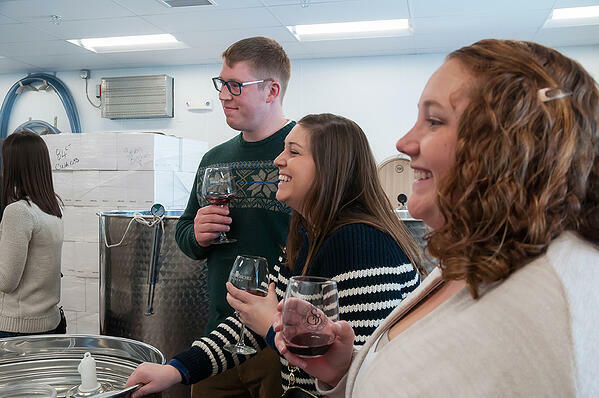 Located within the RiverWalk Resort at Loon Mountain, Seven Birches Winery makes handcrafted wines using locally sourced fruits and classic European grape varietals. Sign up for the “Meet the Winemakers” tour where you’ll chat with the in-house winemaker and discover how their award-winning wine is created. You’ll also get to sample aging red wine from the barrel and enjoy a full flight of wine tastings in their tasting room. The Tasting Room is open daily year-round, so you’ll be able to sample New Hampshire’s finest wine whenever you wish. If beer is more your style, then you’re in luck! The Woodstock Inn Station & Brewery is just around the corner from the Winery. Woodstock Brewery embodies the true essence of New Hampshire and produces some of the best-handcrafted brews in the state. They use premium hops grown around the world along with imported English grains to create award-winning seasonal ales that will make any mouth water with delight. If you’d like to see how the brewery went from a small seven-barrel brewery to a large regional brewery, sign up for their daily brewery tour. Local favorites include the Autumn Brew, Frosty Googles, Live Free or Die, and more. 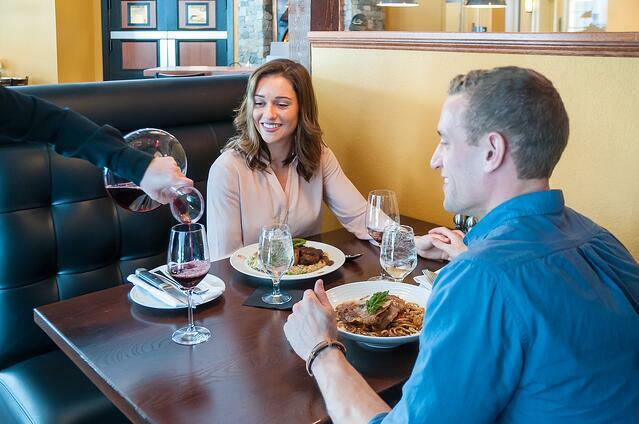 Lincoln and Woodstock offer a vast range of dining options from fine dining to casual coffee shops. The Woodstock Station Restaurant is a local casual dining favorite with an extensive menu and great live entertainment. Enjoy delightful soups, salads, steaks, and even seafood dishes at this historic restaurant. Gordi’s Fish & Steakhouse is a family owned and operated restaurant in the heart of downtown Lincoln. Founded in 1986 by Olympic skiers, this popular restaurant serves all your favorite American dishes like burgers, steaks, scallops, and more. Dining at Sugar Hill Inn is the ultimate culinary experience in the White Mountains. The chefs use only the freshest local produce so you can enjoy a romantic candlelit dinner by a cozy fire. Executive Chef Val Fortin creates a daily four-course dinner menu that will leave your taste buds dancing in delight. Not to mention their wine list consists of over 100 bottles from around the world! We’ve all see Lady and the Tramp and probably have pictured ourselves enjoying a large plate of pasta only to end the meal with a big kiss. 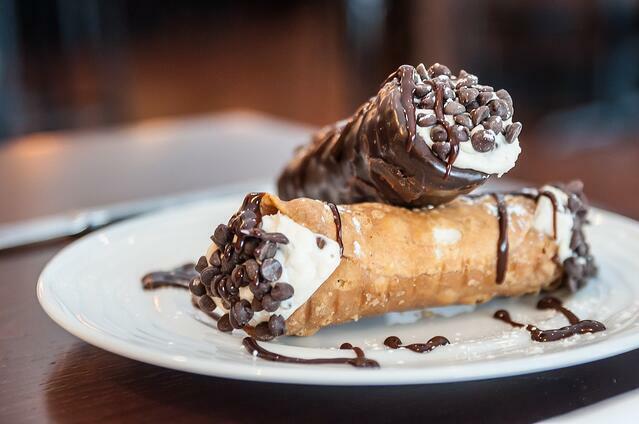 La Vista Italian Cuisine is an authentic Italian restaurant with a creative wine list with bottles from Europe, Australia, South America, and more. Prepared with all the freshest ingredients, La Vista offers the best Italian cuisine in the White Mountains. Don’t miss the Tiramisu made daily by Bakery Chef Natalina! 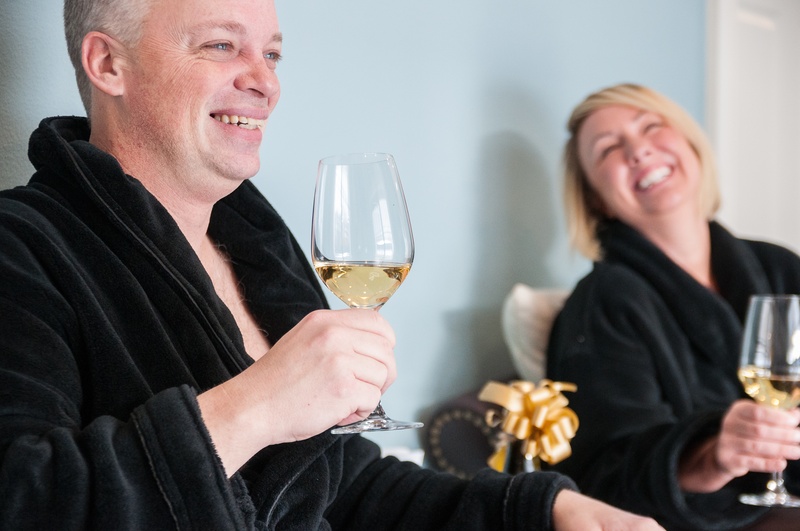 Treat your sweetheart to a day at the spa. Solstice North Day Spa is a full-service day spa at the RiverWalk Resort. Book a solo massage or a couples massage and enjoy the relaxing experience together. Finish your massage off with a refreshing foot soak that will relax and renew your soles. Continue your relaxing afternoon further with a soak in your hotel’s hot tub. Enjoy the bottle of wine you purchased earlier at Seven Birches Winery while watching the snow fall softly over the mountains while the jets melt the last bit of stress in your shoulders away. You don’t need to celebrate your love on Valentine’s Day or your anniversary. Surprise your loved one this winter with a romantic getaway to the western White Mountains. Home to Loon and Cannon Mountain, Lincoln not only offers some of the best skiing in New England but an array of indoor and outdoor activities to keep you busy all weekend long. Ask your in-laws to babysit the kids and plan a secret romantic kid-free getaway today. From dog sledding to snowshoeing to couple’s massages, you’ll find something new to share with your special someone. Even if you never leave your resort, you’ll leave on Sunday feeling refreshed and more loved than ever before. If a kid-free trip isn't in the cards this winter, take a look at some of our favorite family friendly winter activities.